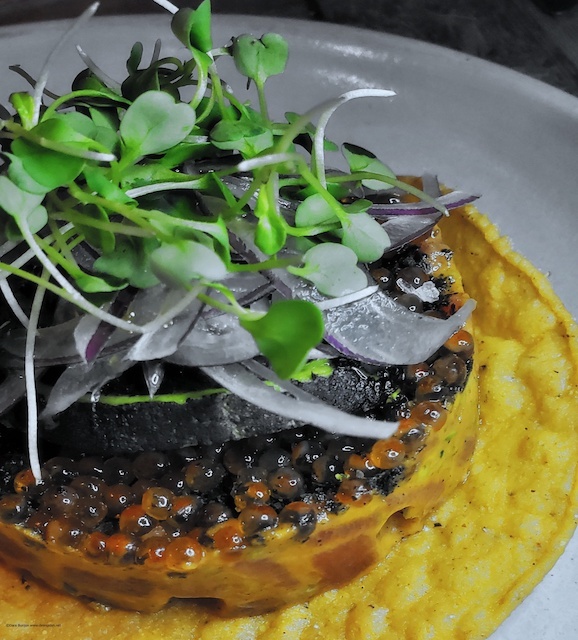 Celebrating their four-year anniversary this April, Alma Cocina Latina ranks as one of Baltimore’s finest restaurants and the premier Venezuelan restaurant in the United States. 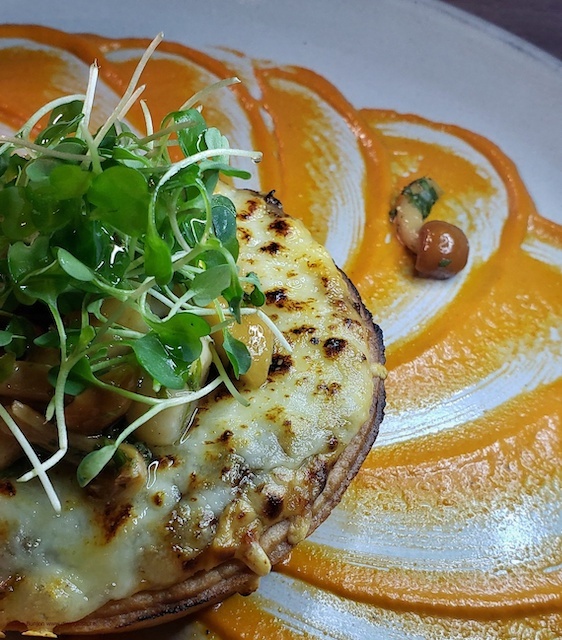 Alma Cocina Latina’s continued success can be attributed to two Venezuelan natives, Irena Stein-proprietor and Executive Chef Enrique Limardo– both originally from Caracas. Alma Cocina Latina was Stein’s concept, initially, it was to be an arepa bar, but the space at the Can Company called for more and Stein surely hasn’t disappointed. Stein is already recognized as a successful chef and restaurateur with her Café Azafran located at Space Telescope Science Institute and Alkimia at Gilman Hall/Johns Hopkins University Homewood Campus. Stein wanted each plate at Alma to tell a story about the Latin culture. 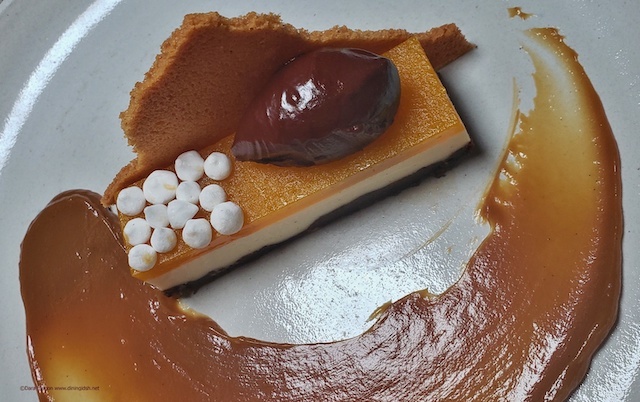 Who better than Chef Enrique Limardo to tell that story? He sold off his two restaurants in Caracas and proceeded to travel the world as a private chef, locales the likes of Dubai, Hong Kong, and Paris. He integrates those additional flavors and techniques to create food for the soul; both visually and with superb flavor. 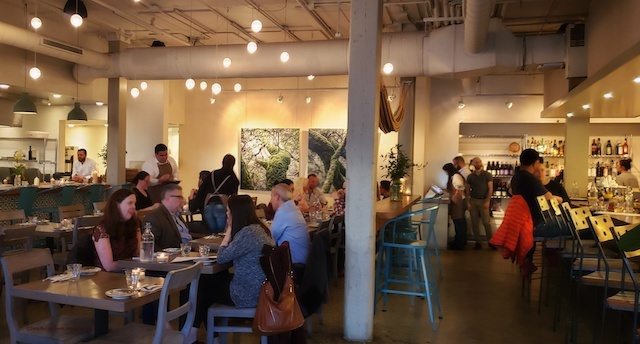 As a guest of Alma Cocina Latina recently, it re-emphasized what I knew from my first visit, that this is a restaurant to be on everyone’s bucket list, in essence – a destination restaurant for travelers and a go-to favorite for the locals. Alma in Spanish means “soul” and this restaurant has it! Their bar manager, Argenis Calderon, creatively integrates Latin libations of mezcals and rums in his house cocktails. One can indulge in their rum bar with premier rum flights that are reasonably priced. Personally, mojitos are my jam, and I wasn’t disappointed. Their happy hours run Monday through Friday and on Thursday evenings enjoy live music. 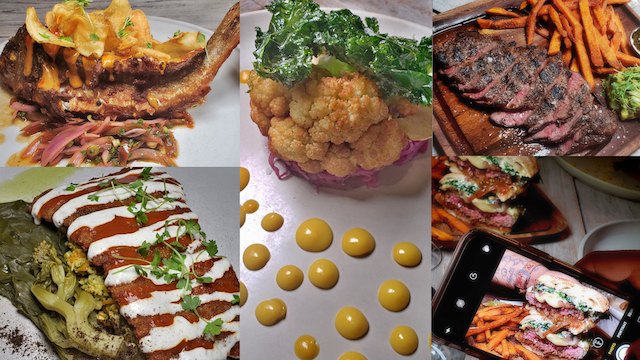 A number of the local “food” influencers were gathered to sample dishes that can never come off the menu and their new Spring selections. 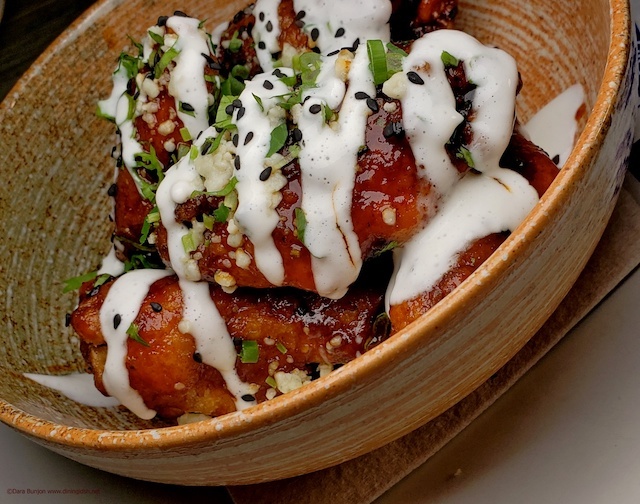 From the menu’s Para La Mesa we were tempted with crispy yucca fries, skate fish empanadas and their crispy chicken wings tossed with honey chipotle glaze, black sesame, blue cheese, green onion. All three were enticing, but oh those wings – finger licking good! The Arepa Bar teased us with the combo arepa of grilled Angus sirloin, chicken breast and chorizo, fried egg, avocado, nata and queso de ano and the Italiana, which was vegetarian and gluten-free; grilled portobello mushroom, fried egg, bocconcini cheese macerated in mint-basil-cilantro pesto, fresh arugula, and truffle mayo. Let me not forget the deconstructed arepa of pan-seared shrimp in garlic-cilantro-parsley butter. We all enjoyed our samplings from the menu’s Principales: Wagyu Burger, Vegan Heaven, Pork Milanese, Prime NY Strip, and Whole Fried Dorade. 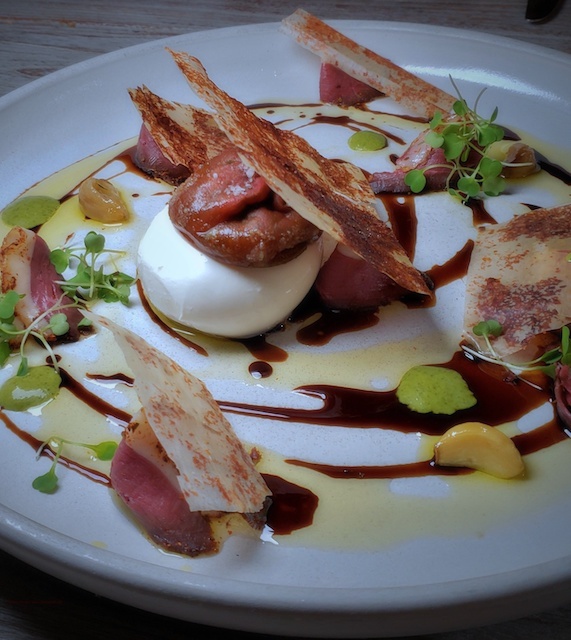 The freshness and the quality of their products shined through – you can taste it in every dish. In house made desserts round off the dining experience and hopefully, you will save room – get a couple of spoons and indulge in the Chocolate and Vanilla Mango Mousse Cake. Yes, I was a guest, brought in to tell the Alma Cocina Latina story, but the real question is, would I go back on my own dime? The answer is a rousing yes!